Namibia Extravaganza is a unique dream trip through Namibia. You will stay in exclusive lodges and visit major highlights such as the the Kalahari Desert, the dunes at Sossusvlei, Dead Vlei, Sesriem Canyon, Welwitschia, Moon Landscape, Swakopmund, Twyfelfontein, Organ Pipes, Burnt Mountain, Etosha National Park and Namibia's capital city, Windhoek. On your arrival we will meet you at the international airport Hosea Kutako and accompany you to collect your rented car. After that we discuss your itinerary with you, provide some useful tips and tricks, hand over your travel documents and answer any questions you might still have. From there you travel towards the Kalahari Desert via Rehoboth. Extending into nine countries, the Kalahari is the largest interconnected sandy plain in the world. Its deep red sand lights up at sunset, shimmering between the grass tufts on the dunes, forming a unique backdrop to sundowners served to round off your game drive. In the early morning your San guides (Bushmen) will take you on a hike into the Kalahari. They will explain how they find their food and hunt in harmony with nature and will tell you fascinating stories featuring plants and animals. 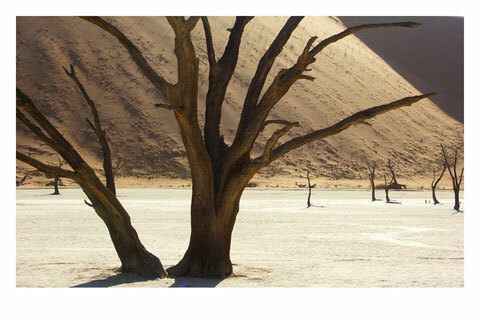 After that you continue your journey to the Namib Naukluft Park. 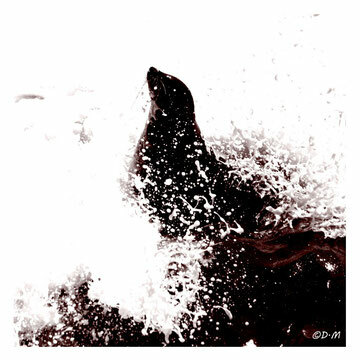 On your way northwards along the west coast you may make a detour to Cape Cross, Namibia’s largest fur seal colony. Turning east, you enter Damaraland. From the unique setting of your abode, Mowani Mountain Camp, you enjoy a wonderful view over the surrounding landscape, which is studded with granite formations. Damaraland is not only famous for its scenic beauty, it is also home to the desert elephants, which live in the ephemeral rivers and which can be observed during a game drive. Continuing on your journey you visit Twyfelfontein, a World Heritage Site featuring more than 2500 rock engravings, ranking among the largest accumulations of this kind in Africa. Take a detour to the Organ Pipes consisting of many polygonous basalt pillars more than 5 metres high and to the Burnt Mountain. 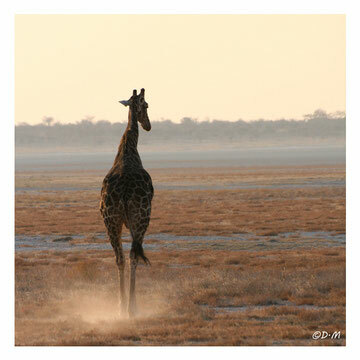 Your destination today is another highlight of your trip, namely the Etosha National Park, which was proclaimed in 1907. Your accommodation, Camp Okaukuejo, famous for its illuminated waterhole where game can be observed night and day, is situated inside the Park. Again your day begins at the break of dawn and you continue driving through the eastern part of the Park until you exit through the Von Lindequist Gate to reach your Lodge Emanya after a few kilometers. 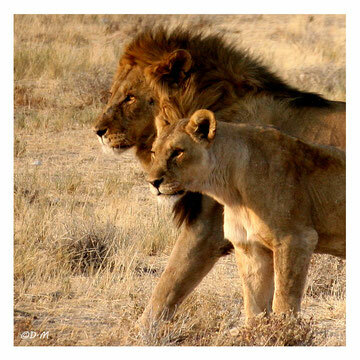 Today’s route passes through Otjiwarongo and takes you to your Lodge Okonjima, home of the AfriCat Foundation, which is dedicated to the protection of the large cats. Cheetah, leopard and lion are kept in large enclosures and can be observed on game drives during which you learn more about these fascinating animals. Your return route takes you through Okahandja, where you can visit a large wood carvers’ market. In the afternoon you may explore the city of Windhoek with its numerous attractions or you might prefer to just enjoy your hotel’s graceful ambience and the beautiful view.